John Doe: Making waters choppy for pirates or just routine? Breaking: Following the recent trend set by the Delhi high court since 2011, the Bombay high court passed its first ex parte, unconditional “John Doe” order to pre-emptively ban the piracy of Viacom 18 Motion Pictures film Gangs of Wasseypur, said the company’s lawyers Naik Naik & Co.
Naik managing partner Ameet Naik with senior counsele Venkatesh Dhond, won an order from Bombay high court Justice BR Gawai today, restraining local cable operator Sonali Cable Vision Pvt Ltd and internet service provider (ISP) Spectranet Limited, and Mr John Doe (Ashok Kumar) standing for unknown defendants, from pirating the movie that will be released on 22 June. Naik associate Anushree Rauta said: “This suit was a representative action, under Order I, Rule 8 of the Code of Civil Procedure. The cable operator and ISP impleaded in the instant suit represent the group of cable operators and ISPS’s in general; There is complete identity of interest amongst these defendants and the general body of persons whom they represent and/or are said to represent. Naik partner Madhu Gadodia explained that John Doe orders were earlier passed in relation to pharmaceutical companies’ products, then employed in blocking the illegal telecast of cricket matches, and in 2011 the Delhi high court passed its first order pre-emptively injuncting anyone from pirating the UTV Software Communications movie Thank You. Since then the movie producer Reliance BIG had won several John Doe orders in Delhi, and Naik had been obtaining John Doe orders on virtually every release for its client Viacom – around seven so far, including Speedy Singhs, Loot, Players, Kahaani, Blood Money, Bittoo Boss and Department. “This is the first John Doe order passed by the Bombay high court,” noted Gadodia, “but the preferred jurisdiction was the Delhi high court, because as you know, the Bombay high court is very apprehensive in granting ex parte orders.” She said that the case was filed in Mumbai because of the Delhi court vacations and because of “logistical convenience”. She claimed that despite piracy being an actionable offence even without an ex parte order, serving the John Doe order on cable operators and internet providers has acted as a deterrent. 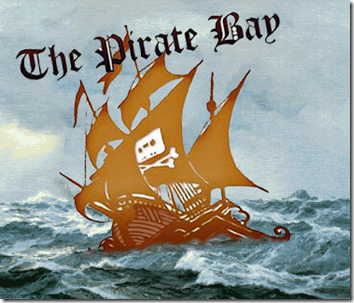 “Our clients have realised that the rate of piracy has gone down after John Doe orders,” she said. The Madras high court issued a John Doe order in March of this year, which was used by a copyright enforcement company to force several ISPs to block access to file sharing web sites of arguable legality, as well as mostly legitimate video upload site Vimeo, text-sharing site Pastebin, and others, reported Mint. Reliance had used John Doe orders in a similar manner in 2011. Update: Click here to download order. John Doe, AKA Big Brother, is Watching You! Speedy Singhs, Loot, Players, Kahaani, Blood Money, Bittoo Boss and Department. who the hell even cares about such movies!! This is a cat and mouse game that is ever developing between IPR owners and the rest. Tell me once more how law is not a tool at the hands of the ruling class. Visit tpb.pirateparty.org.uk to download anything and everything!! !...Cheers!